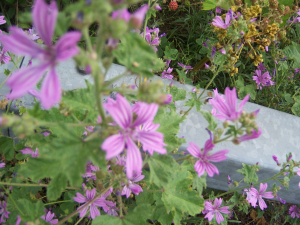 Observation - Common mallow - UK and Ireland. Description: Attractive pink flowers with five petals. Seen on grass verge, disturbed ground. Attractive pink flowers with five petals. Seen on grass verge, disturbed ground.